Home care billing software made easy. No finance degree needed. Home care agencies often get stuck in the billing 'trap' - a constant cycle of collecting paper timecards from caregivers, mailing invoices, and receiving payments in the mail. This makes it hard to know how much you can invest in your business. ClearCare home care software makes collecting your money and paying caregivers easy. Timecards are kept electronically. Review and reconcile the shifts at the end of the week and export to your accounting software. Account for holidays, overtime, multiple pay rates, mileage, break time, and meal time. Collect funds from your clients with a click using e-payments. Payments are in your account in 48 hours versus the weeks it takes to receive payments by mail. ClearCare is QuickBooks, Paychex, and ADP compatible. Use another payroll provider? No problem. We work with hundreds of payroll providers and a custom export can be created. No more mailing invoices and waiting weeks to receive payments. Easily reconcile schedules and your clients pay you electronically with a click. As soon as your caregivers clock out of their shifts, care logs are automatically sent to billing and payroll. Tools and filters help you review all completed care logs and mark them as finalized, to indicate that they are ready to be billed/paid. 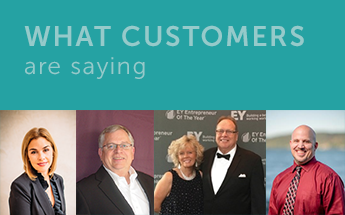 Track clients who are current and those who are 30, 60, and 90+ days overdue. 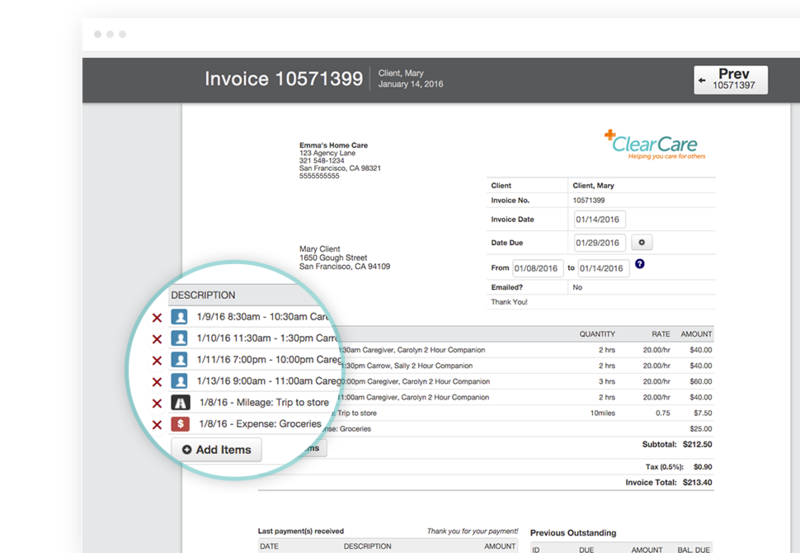 Resend invoices and statement balances via ClearCare with delivery confirmation. Creating professional, informative invoices with a click saves you valuable time on billing day. 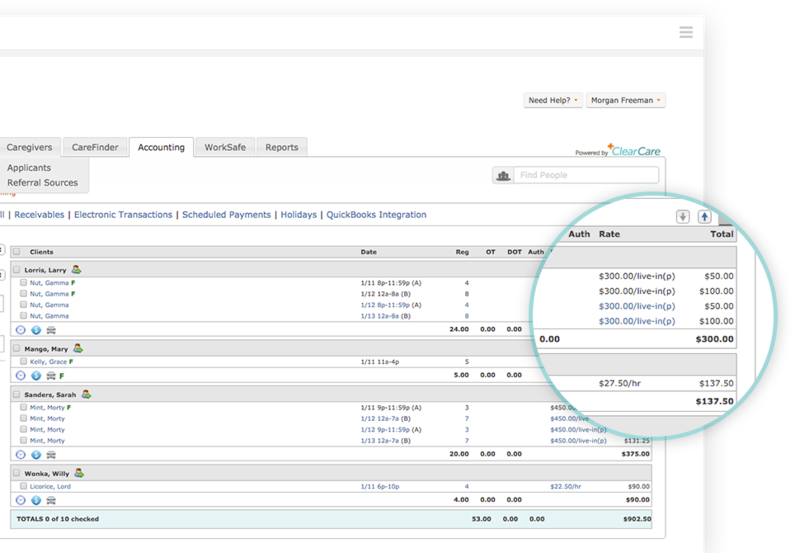 Receive payments in ClearCare to maintain updating aging summaries for your administrators and clients. Run your payroll like a modern business. No more wasted time or money running to the bank. Parent payors or multiple payor support allows whoever is paying the bill to pay with ease. ClearCare is compatible with ICD9 and ICD10 codes, UB-4, and CMS 1500. ClearCare home care billing software allows you to set billing frequency (weekly, bi-weekly, monthly, etc. ), the last day of your billing cycle, and your standard work week (Sun-Mon, Mon-Sun, etc. ), and even how you handle overnight shifts that extend past midnight. Who has outstanding balances on their account? Find out within a matter of seconds using our various Receivables reports. How fast can I receive payments? ClearCare's home health billing allows home care agencies to be paid in 48 hours when their clients pay with either a credit card or ACH bank transfer. Does the home care billing software cost extra? No. If you have a copy of QuickBooks and a payroll company, there are no additional fees. If you choose to allow clients to pay electronically, merchant rates apply. Which payroll providers are compatible with ClearCare? ClearCare is compatible with standard home health care billing system payroll providers: ADP, Paychex, and dozens of other providers. We'll work with you to create a payroll export for whichever payroll company you use. 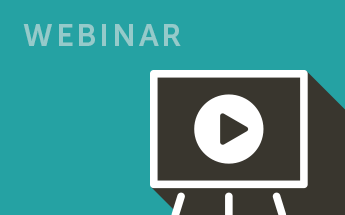 How are caregiver timecards kept? Like most home health billing systems, ClearCare keeps timecards via the telephony system. However, ClearCare's telephony system is uniquely set to account for private duty home care agencies. Do you integrate with QuickBooks and QuickBooks Online? Can you recommend a payroll company? Yes, we have relationships with major payroll companies who work with home health billing software systems like ClearCare.